How to Ace Your Virtual Interview: No One Will Tell You This! 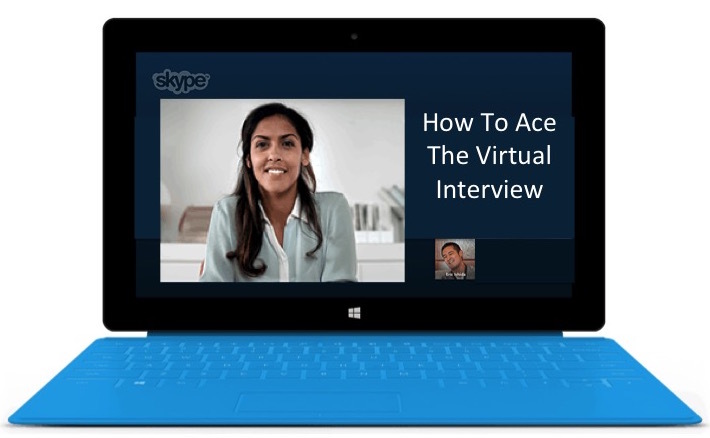 4 Helpful Tips For Virtual Interviews No One Will Tell You This! With the availability of online reach, it has become significantly easier for any company to choose from a pool of a large and varied selection of potential candidates. However, once they select a candidate that person has to be interviewed. No matter if it’s an online worker or a regular one; a virtual interview can be an option if a candidate cannot make it to the interview venue for any reason. This is what makes the virtual interviews beneficial for both the candidate and the potential employer. There are a few tips that a candidate should keep in mind when they’re going to be interviewed for a job interview through Skype or any other online video conferencing program. Any application that allows for video chatting usually displays your username or handle. It also makes your status visible to the person you’re connecting with. Make sure none of these things have an unprofessional look, whether it’s through words or images. There should be no strings of emojis or slang words. This also goes for your email address. If you use your occupation, such as ‘writer’ in conjunction with your name, it might create a better impression as well. Dressing up is as crucial for a virtual interview as it is for a one-on-one interview. Besides, you would feel more focused, more professional, and more in control in a proper outfit than you would in an old T-shirt and sweat trousers. Avoid going for a trunk or loose pajamas that give a saggy look. Sure, the interviewers would probably only see your torso, but what if you had to get up for any reason? Therefore, it is important to dress up properly to avoid any unwanted embarrassment during the conversation. Who can forget the recent viral video that shows a professor giving an interview on BBC from his home, when his kids suddenly walk in, causing a few moments of embarrassment for the guy. While the guy was sitting in his bedroom, but he made it look like an office. Similarly, it is important that you prepare your room before showing up in the interview. Your background should give off a professional look. There should be no wacky posters in the corner, and personal items should be tucked away. The best backdrop for a virtual interview is probably a neutrally-colored wall. If the job is a bit on the professional or corporate side, a backdrop of a bookshelf might be good. Just like a regular interview, a virtual interviewer might ask you for a CV or work portfolio. Therefore, you should keep this stuff within your reach. Your face is the focal point of virtual job interviews. Thus, your laptop camera should be adjusted so that it doesn’t give an unflattering view. If needed, the computer itself can be raised with some books or set far away. After all, you won’t actually be working on it but using it as a camera. Lighting is also important.Your face should not look shadowy or dark. It’s best to do a mock interview with a friend or family member before you go for an actual interview. Applying these tips could greatly help in increasing your confidence during virtual job interview. As long as you show a professional side and make sure there are no issues with the Internet connection, you’re good to go! Scarlett Erin is a frequent writer and blogger for the Assignment Star that deals in academic consultancy services.